Every time I step onto La Rambla in Barcelona two things happen. The first is that Freddie Mercury and Montserrat Caballé start singing in my head. The second is that, apart from feeling thrilled at being in one of the world’s most exciting cities, I’m overwhelmed. Barcelona boasts such a richness of treasures that knowing where to start can send the head into a dizzying tailspin. However, there are ways to ensure you don’t miss seeing the best of Barcelona. Take a tour or two. 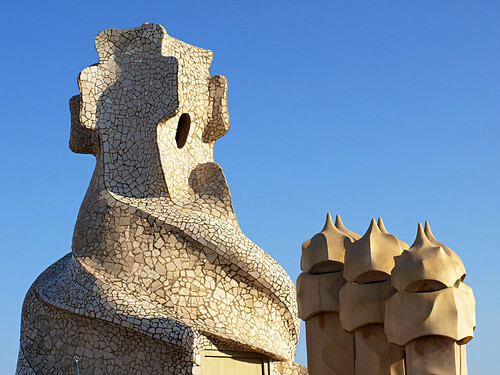 Not just any tour; go specialist for a seriously different Barcelona experience. No visit to Barcelona would be complete without getting to know more about the architectural wonders that accompany every step along the avenues and alleys of the city’s gothic maze. Barcelona Turisme organise walking tours with passionate guides who breathe life into the modernist bricks and mortar of icons such as Guadí’s fairytale Casa Battlá and Doménech’s ornate Palau de la Música Catalan. As well as pointing out the big guns of Barcelona’s Modernisme period, the guides know endless amusing anecdotes. Afterwards you’ll be able to impress friends by regaling them with tales about what Casa Battlá’s facade actually symbolises. An added bonus is that guides can advise about the best tapas bars along the route, so take a map to note places for post tour refreshments. Modernist tours costs €12.60, last 2 hours and leave Plaza de Catalunya at 4pm in winter and at 6pm in summer. For a completely different view of Barcelona, take to the sea in vessels ranging from sailing dinghys to catamarans with jazz bands and cava. Leaving the harbour reveals a tale of two cities. On one side of the boat, fishermen proudly display their catches whilst on the other huge, sleek yachts speak of super riches. Gazing across Barcelona’s skyline from the Mediterranean shows even more contrasts; the spires of Gaudí’s Sagrada Familia represents the old Barcelona and the bullet-shaped Agbal’s Tower, the new. The seaview also reminds that Barcelona is one of the great beach cities with six sandy playas stretching along its seafront. 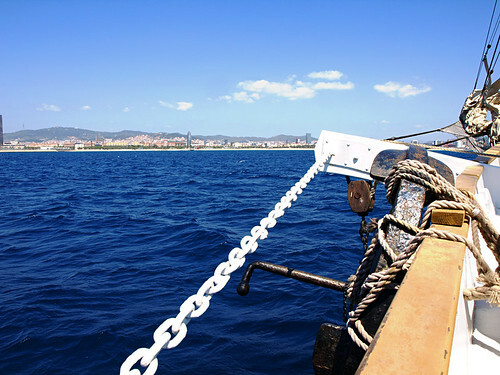 Barcelona boat tours depart daily from Port Olímpic, take around two hours and cost from €24. 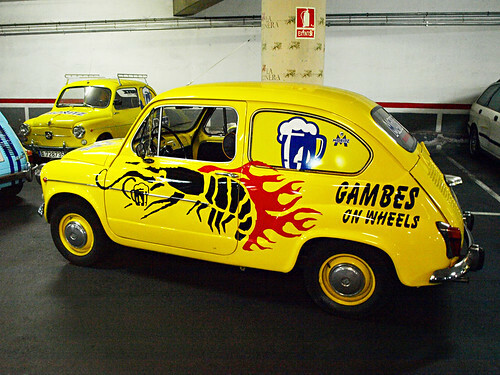 Calling the classic Seat 600s ‘limousines’ is poetic license but an indicator of the organisers’ ‘off the wall’ approach to this most bizarre tapas tour. After getting to know your 600, you hit the streets, stopping off at the Velodrome Bar for tapas and a beer before accelerating down La Rambla to cheers and a sea of camera flashes. The exhilirating urban adventure ends at the Moritz Factory, an old brewery turned ultra chic bar, with more tapas and a chance to catch your breath after a city tour unlike any you’ll ever experience again. This is the ultimate in tapas tours. As well as the Modernisme tour, Barcelona Turisme arrange gourmet, civil war, movie and even birdwatching tours. Jack Montgomery is a travel writer/blogger with an appetite for gastronomy, hiking and exploring destinations on and off the beaten track for his Buzz Trips travel site.